Self-confessed Modern Day Cat Lady. So, here’s where most photographers will tell you they've been photographing since the day they were born, or all the trillions of awards they’ve won, or how photography is their one and only true love, which is all really great except it doesn’t tell you enough about the person who’ll be hanging around you + your family on your wedding day. 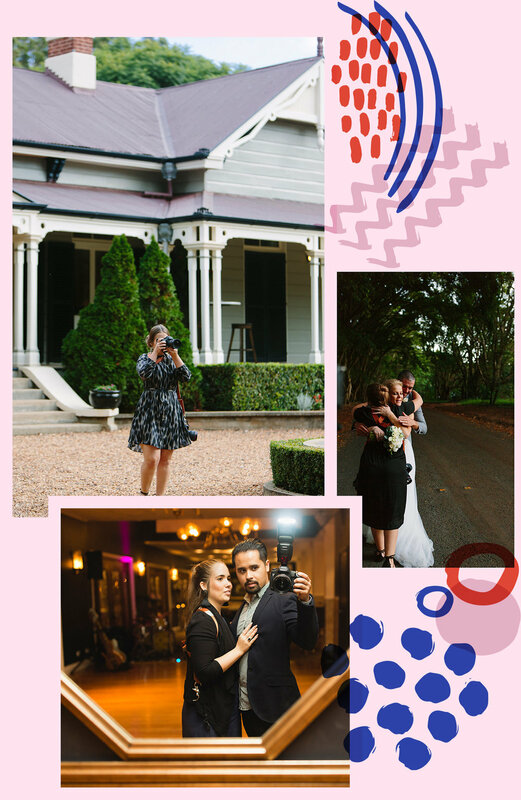 Here’s a little bit more about your new found friends who just so happen to have serious photography skills to tell your love story. Our love story began when Lyndal photographed her first wedding when she was 17 years old. At the time, Jaydee was her boy-bag-turned-best-friend. It didn’t take long to upgrade him to second-shooter-boyfriend. Now we’re married and Jaydee kills it in his own right behind the lens. With over 20 years combined of photographing weddings, we’ve learnt a food-truck load. What matters most is you and your partner feel like you’re hanging out with friends. Because there’s nothing like being stuck with someone you don't click with to ruin your wedding day. And that awkwardness will be in your memories forever. Not when you work with us. We apologise in advance because Lyndal is guaranteed to cry at your ceremony while Jaydee is guaranteed to bust out some bad dance moves later that night. Our home is filled with rescue animals. For the past 6 years we've been involved with Friends of the Hound rescuing, rehabilitating, fostering and rehoming greyhounds who are no longer profitable to their owners. We also foster cats and kittens through Peninsula Animal Aid where Lyndal volunteers. She’s crazy passionate about animal rights issues. Jaydee jumps at whatever chance he has to take Harley Quinn (his motorbike) out for a spin. In between photographing your beautiful wedding, animals + motorbikes, our next favourite thing is getting the occasional full night’s sleep. Ready for us to photograph your love story? Give us a call on 0419 822 539, email lyndalcarmichael@gmail.com, or send us an enquiry so we can have a chat.